Miles Davis called him a "little genius" and "the fire, the creative spark" of his '60s quintet, which arguably featured the best rhythm section jazz has ever known. The rhythmic instigator was Tony Williams—only a teenager when he joined the group-who went on to become one of the greatest drummers-if not the greatest-of all time. When he tragically died at the age of 51 in 1997 in the midst of continuing to speed ahead with new compositional projects, he left in his wake a drummer who counted him an invaluable mentor and close friend whose career has been a testament to Williams' legacy. 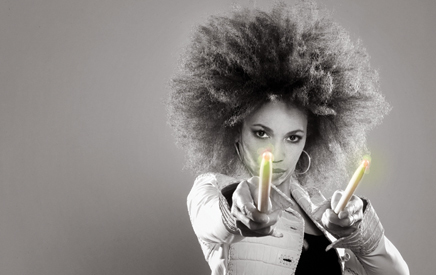 Cindy Blackman is not only one of contemporary music's most creative drummers but also a passionate witness to the role model Williams provided to her. In her first recording as a leader since 2005's double CD Music for the New Millennium, Blackman pays homage to the Jazz-Rock legend with Another Lifetime, a tour de force collection of many of Williams' songs from his seminal group Lifetime, which he helmed from 1969-1976. "It's true that this album celebrates him, but really this is only a documentation of the recording sessions that make up Another Lifetime," says Blackman, a top-drawer jazz drummer whose resume also includes a lengthy association with rocker Lenny Kravitz (1993-2004, 2005-2007). "Tony's impact was so great on me that I celebrate him every day of my life. Every time I think about music, I celebrate Tony because I celebrate that level of virtuosity. I'm here to let it be known what that man created and how in his drumming he carried the entire history of all the great jazz drummers. He was an incredibly schooled drummer who set up the direction for me. When I first heard him, I knew that's how I wanted it to go for me. I remember thinking I've got to get to that. Celebrating Tony is not just one day or one album, but it's a way of living, a way of being-creative, spontaneous, thoughtful and diligent in pushing the envelope." Without copying or resorting to duplicating the Tony Williams experience, Blackman set out to imaginatively re-envision some of her favorite Lifetime tunes (including "Vashkar," "Where," "There Comes a Time" and "Wildlife") as well as dynamically improvise originals that capture her master teacher's energy. The result is a session of intensity, teeming with bold, propulsive drum velocity recorded with four different teams of collaborators. The first support group comprises guitarist Mike Stern, organist Doug Carn and bassist Benny Reitvald, who appear on seven of the 11 tracks. 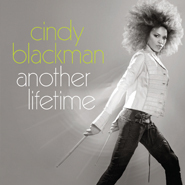 On two tunes, Blackman is joined by guitarist Fionn O Lochlainn and organist Carlton Holmes; while the final track on Another Lifetime, "Wildlife," features guitarist Vernon Reid, keyboardist Patrice Rushen and bassist David Santos. There's also a guest appearance by saxophonist Joe Lovano in Blackman's duo rendition of "Love Song," one of the CD highlights. As for her volcanic delivery throughout, Blackman laughs and says, "That was my goal. I love being the driving force. It's what every great drummer does regardless of how subtle you play. That was how Tony played. He had great examples to learn from, including Art Blakey, Max Roach, Philly Joe Jones, Elvin Jones and Roy Haynes-how they pushed the bands they were in. That's the lineage I come from and love. It's a force of nature." Given that her admiration for Williams was so high, was it a challenge for Blackman to delve into his music on such a personal level? "Of course, but this is jazz; it's a creative music," she says. "Ever since I was young, learning his music has been a beautiful challenge." As for choosing such a relatively small number of tunes from Williams' expansive Lifetime library, Blackman says that she wanted to include a lot more (hinting that a second volume may be in the offing). "So many of Tony's pieces were incredible in their concepts, rhythmic layers, harmonies and the different sounds of his bands. So I went with songs that are particular favorites, especially Carla Bley's composition 'Vashkar' that Tony put his personal stamp on." On Another Lifetime, Blackman uses "Vashkar" as a thematic chorus of sorts, leading off the album with a blistering rendition of it, adding new twists to the decidedly rock vibe spearheaded by her powerhouse drumming and Stern's and Carn's fire. Williams was so innovative in the way he played, Blackman says, that it was natural to follow suit but in her own voice. "I wanted to do it differently," she says. "I couldn't do it verbatim. Even every night when Tony played this song, it was totally different. I brought to it some new sections and feels." Blackman returns to the song twice more in the collection, with a reprised version (track four) and a tune she calls "Vashkar and the Altered Dimension Theory" (track 7). As for the latter, best described as a rocking muse, she says, "This version is so completely different. It's as if it could have existed in a parallel universe to the original." Blackman delivers another of her favorites, "Where," which starts in a dreamy vein before powering up. "That tune sounds so mysterious," she says. "It and his original Lifetime Group also shows how Tony innovated a new sound for an organ trio. And the way he plays 6/8 was different than anybody played it. In our version, we tagged Tony's tune 'Emergency' just to mix things up." In the first of two vocal contributions on the CD, Blackman sings on this track. She says, "I love Tony's lyrics." On another Williams piece with lyrics, "Beyond Games," the drummer sang, but Blackman chose to focus on the tune itself, working with the flow in terms of form and rhythms. Throughout Another Lifetime, there are snippets of tunes, including the short and fast "Game Theory," largely an improvisation with Blackman, Stern, Carn and Reitveld in a heightened interplay; and the searing "And Heaven Welcomed a King," another original with inspired improvisational fury and a dynamic, "big-energy" ending that was "fitting for Tony's music," says Blackman. She sings again on the four-minute "There Comes a Time," another one of her favorite Williams compositions that wasn't originally planned to be on the collection. "I was in the studio with Fionn and Carlton, and we played around with this and we liked what we did," Blackman says. "It's not as long as Tony's version, and I only sang half of the lyrics Tony wrote." Another short original credited to all the band members of the Holmes–O Lochlainn group, the slow, funk-tinged "40 Years of Innovation" not only pays tribute to Williams' heritage, but also serves as a pointed, spoken-word rebuttal to a comment drummer Billy Cobham once made. She recalls, "I read an interview with Billy once where he slammed me and Tony. He said that Tony was a kid who didn't have his ideas together and who made it on hype. That made me so angry. Billy missed the point completely. When I wrote this song, I was thinking of Billy Cobham and how I didn't appreciate his complete lack of respect for Tony's innovations. I found these lyrics a nice way to address this." Another Lifetime closes with the CD's most lyrical tune, "Wildlife," featuring Reid (who had enlisted the drummer to do a Tony Williams Lifetime tribute tour in Japan in 2007 along with keyboardist John Medeski and original Lifetime bassist Jack Bruce), Rushen and Santos. "I dig this tune so much-the melody and the feel," Blackman says. "Tony was so musical. He loved to compose and orchestrate. Patrice put some nice touches on this to make it sound majestic." Blackman hastens to note that this track was recorded in analog, which made for somewhat of a surprise ending to the tune. "We were coming to the end of it when the tape ran out," she explains. "I thought about it, then realized that this was the perfect ending. It happens at the end of the album, plus the song actually did end too short, too quickly. And that was just what happened with Tony. His life ended too quickly." Blackman hopes that Another Lifetime will rekindle interest in Tony Williams' importance to jazz, rock and drumming in general. "Tony kept studying and searching, right up to the end," she says. "This was a man who was born a genius. He was advanced as a drummer at the age of 15, and he kept striving his entire life, regardless of what people thought about him. He was a true innovator."